New Mexico Statute 66-8-102 defines the legal alcohol limit for those operating vehicles on New Mexico roadways. If a driver is under the age of 21, the legal alcohol limit is .02%. For someone operating a commercial vehicle, the legal alcohol limit is .04%. The legal alcohol limit is typically determined through blood alcohol concentration (BAC) testing. The most common BAC testing method is the breathalyzer, which can be administered at a routine traffic stop. 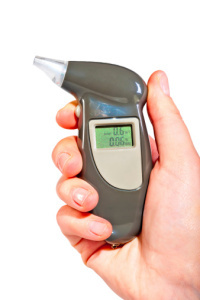 A driver whose breathalyzer test reveals a blood alcohol content higher than the legal limit is subject to arrest, even if they do not show any signs of impairment. According to New Mexico laws, everyone with a New Mexico driver’s license gives implied consent to BAC testing if requested during a routine traffic stop. However, you do have the right to refuse field sobriety tests. Refusing BAC testing may result in an automatic one-year license revocation—this is why it is so important to request a hearing on your license as soon as possible. You also must pay all costs associated with MVD hearings, court fees, community service and DWI/driver’s education classes. And, in Albuquerque, NM, any subsequent DWI arrest puts you at risk of vehicle seizure. DWI convictions carry severe penalties and can limit future employment opportunities. If you are facing DWI charges, you need aggressive criminal defense. The attorneys at the Law Office of Mark Keller in Albuquerque, NM have more than 80 years of combined experience helping clients fight to protect their rights and interests. We can investigate your case to determine if DUI defense in Albuquerque was properly administered and build an effective defense to help you preserve your driving privileges and clean record. For a free case consultation, contact us today. If you have been arrested for being over the legal alcohol limit when driving, get aggressive DWI defense. Call (505) 842-1440 for a free consultation.